If you’ve not yet used video in your legal depositions, it’s time to consider the many benefits that you can derive from this technology. Legal depositions can be one of the technology tools in any attorney’s toolbox. 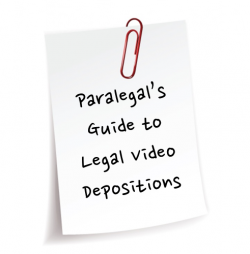 There are several advantages to using video in depositions. Considering each one of the following benefits will allow you to ensure you’re taking full advantage of all the ways video depositions can be a benefit to you and your client. 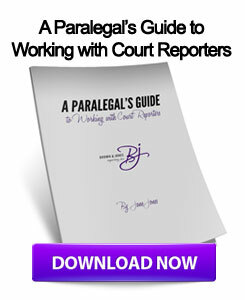 Quite simply, legal video depositions assist attorneys in presenting a more compelling case. If you have a deposition transcript read into the record at trial, you are failing to show the jury the witness’ spontaneous reactions, emotional state and body language. You’re losing the pregnant pauses, nervous fidgeting and angry glares. You’re losing the opportunity to show the witness’ full demeanor when testifying. This may become important to a jury or in preparing your team for trial. Video depositions are much more likely to hold the jury’s attention. As you are presenting evidence, the last thing you want to see is a juror who has clearly lost interest and is not focused. In this age of television and YouTube, we are all conditioned to pay attention to a video screen for long stretches of time. Jurors will pay attention much longer to a deposition video than a transcript being read into the record. A video deposition can be used in the instance where a key witness will not be able to attend the trial. This situation could be due to the distance the witness may have to travel. It can also be due to physical or medial reasons that prevent the witness from attending. Video equipment can be brought to the witness who is unable to attend. In the case of an ill witness, video depositions can be set up in a hospital or nursing home if necessary. Using video in this way allows all parties to fully participate in a deposition without needing to be in the same physical location. Often a doctor or other highly qualified and respected witness may be used to offer an expert opinion. The cost of using their services can be rather high, especially if the witness has to travel and remain at the trial for several days. Having their testimony on video gives you the ability to use their words at any time during the proceedings and to be repeated, if necessary, during your closing arguments. The cost savings in this situation can be enormous. Video allows a judge and jury to view a witness handling an object of evidence. If you use a transcript of a deposition, and read it into the record at trial, the members of the jury, as well as the judge, will not be able to view the witness handling the object in the same manner and from the same angle. If the deponent’s handling of the object is critical, then capturing the activity on video is one way to ensure that everyone sees the same behaviors. Outside of the courtroom, video depositions can also be a valuable tool for reference when considering whether to use particular witnesses at trial, and when preparing for the direct or cross-examination of those witnesses. By using video at depositions, you will be able to review the video and make assessments during your preparation when you are planning and fine tuning your trial presentation. Video deposition testimony may be used to impeach a witness if they change their testimony at trial. This is a common use of deposition video in court. Seeing the witness make an obviously different statement on the video than what they said in court has a much greater impact than simply reading written transcript testimony. Using video strategically in your depositions can increase your effectiveness at trial and give you and your client a better result. If you decide to use video, contact Brown & Jones Reporting to help you set up the details. We will let you know what’s needed in order to conduct a video deposition. With a little planning, you can strategically use video in your depositions and get the maximum benefit from this technology. This entry was posted on Friday, July 26th, 2013 at 9:06 am	and is filed under All Posts, Court Reporting. You can follow any responses to this entry through the RSS 2.0 feed. You can skip to the end and leave a response. Pinging is currently not allowed. Another valid reason has little to do with the testimony itself. A video deposition by definition includes audio. Belligerent opposing counsel won’t be seen on the video but he or she can be HEARD! In my years as a legal videographer I have had more than a few clients who order videos when they’re seated across the table from attorneys they have battled in the past for no other reason than it gives pause to someone who would otherwise be obnoxious and rude. I have to agree with everything you said in your article. I can’t tell you how many times after a deposition is over and the lawyer taking the depositions says, “I am glad I videotaped this deposition.” The body language of the witness is often times more telling than the words coming out of their mouth. Thanks for the great article.